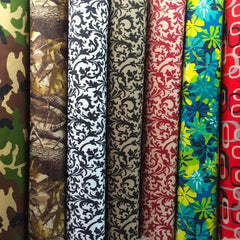 The luxurious damask jacquard fabric is 100% polyester and 118" wide. The jacquard's extra wide width makes it ideal for larger projects and decorations. It features a diverse collection of beautifully embedded floral designs inspired by the Renaissance Era as well as stripes and solids for a more modern sleek style. The designs are beautifully weaved with high quality threads on a heavyweight ground. 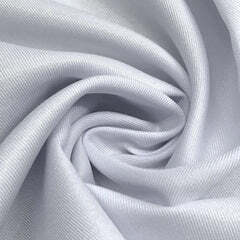 The fabric also has a thick feel and can add body or shape to any project. Jacquard is elegantly crafted with a fully finished back that does not unravel, so lining the jacquard is optional. 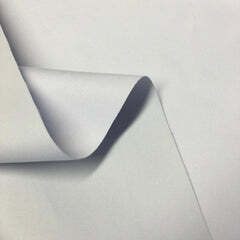 This fabric is also machine washable. The damask jacquard is perfect as an upholstery fabric for sofas, ottomans, curtains, wall decorations, table covers and other event decor. It can also be used for garments such as priest or church vestments, renaissance costumes, corsets and more. Great for DIY home reupholstering projects! 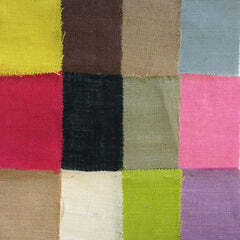 Available in 16 compound colors and several designs with thousands of yards in stock year round! Buy more, save more with our exclusive price breaks beginning at 10+ yards. No minimum purchase required.